So you’ve heard the buzz about how easy and cost effective email marketing can be for your business. But, you might not be sure where to start? We’ve put together this handy guide of email marketing best practices to help you get started in a snap. If you’re just getting started with email marketing, your list might be fairly small. That’s okay. Everyone starts somewhere, and you’ll grow your list over time. Just make sure you’re collecting email addresses, and especially that you have an opt-in form on your website, blog and applicable social networks so new people can sign up to join your list. It is a email marketing best practice to include information along with your sign-up form to let your new subscribers know exactly how often you plan on emailing them (whether it’s once a month or twice a week, or another timeframe), and what type of information you’ll be sending. That way, people know right away what they’re signing up for when they sign up, and expectations are set, so there aren’t any surprises. It also allows you to offer an incentive for subscribers, whether it’s special email-only discounts and deals, or information about new products and specials before they’re released on your website. Not sure how often to send email? It’s better to start small, emailing subscribers once or twice a month, or more often if that is what you offered when they signed up. It’s important to only send what you promised. If you need to increase the frequency later, or during a busy season like the winter holidays, you can email your subscribers and let them know in advance what to expect. A word of warning: Don’t add anyone to your email list without their permission. If they’ve entered a contest or drawing or you’ve gotten their business card, make sure to drop them a line to ask if they want to be on your email list – instead of adding them directly. If you need ideas of what to send, we’ve got 50 unique ideas for you here. Even if you only have 20 or 30 people on your email list, it’s not too soon to start segmenting it based on the type of information people are looking for. Local customers interested in events or workshops may go on a different list than those who live out of town. You may offer three different products for three unique groups – in which case it’s a perfect time to begin tailoring your marketing to specific groups of people, offering information specific to them instead of a one-size-fits-all approach. If you try too hard to emulate big companies, you could get in trouble. People may get annoyed with a high volume of emails. “Pay attention to your stats,” Bastian advises. “If subscribers drop off, look at your content. Are you sending the right information? Are you sending too often? Too many messages saying ‘Buy! Buy! Buy!’ can be really off-putting to people,” so make sure to intersperse useful messages with informational content in your email marketing. As a small business owner, your tone may be able to be a bit more conversational than an email sent from a big business (depending on your industry or type of business, of course). Spend some time finding your company’s voice to ensure your messages hit the mark. A rookie email marketing mistake is to simply send an email when you have something to say. But it’s better to email on a regular basis. Disappearing for even a couple of months can confuse your readers, who may forget about your business before you hit send nine weeks later. Another common mistake is to only send sales pitches to your readers. “There’s more to sending out an email than putting some pictures of your product and saying, ‘okay, go buy it,’ because people won’t keep looking at the email if you don’t spend a little bit of time writing it,” says Bastian. Instead, post highly valuable content your readers are interested in and which they would benefit from, whether they use your product or not. Things like how-tos, tips and product help are popular types of content. You’ll want your messages to be easy to read, no matter what device your readers are on, or how much time they have. Using bullets and subheadings makes your email easy to scan, even, for example, if someone’s quickly checking messages on their phone while taking the subway to work. Also, make sure to break up longer paragraphs into shorter ones to make your material more digestible. Have a co-worker glance at your message before hitting send to avoid typos, broken links or other errors after the emails hit your subscribers’ inbox. A simple web search on online marketing can present you with a dizzying array of often contradictory information on the best way to market to your readers. The thing is, there’s no one approach that works for every business, let alone each specific group of people. And since nobody can offer you the perfect blueprint for your unique email list, the most important thing is to test. Subject matter. Are there specific topics people gravitate towards? Look at the open rate on your emails to see if there are any surprises. In some industries, people are always asking about a specific topic, but the open rate for emails addressing it is low. Sometimes people think they’re interested (or not interested) in reading information about certain topics, but the data shows otherwise. Keep an eye on which types of emails are read most often, and which aren’t, so you can modify the subjects you cover appropriately. Your readers may even change their interests and preferences over time. Subject line. What does better for you, emails with lots of information in the subject line or those with just a bit? If you have 200 addresses or more on your email list, A/B split testing can help you analyze two different subject lines for the exact same post to see which one gets a better response. There may be specific subject lines for your list that you’d like to test as well. Email length. There’s no cookie-cutter answer for what the best length is for your emails. It may vary by message depending if you are sending a newsletter, an offer, an invitation or another message. And you can also mix up your email length, if appropriate, with some short and sweet messages and some longer, more comprehensive reads. How often. Sending to your list on a regular basis is the best recipe for success. Stick with what you promised when the subscriber signed up and change it as needed as your business dictates. Counting clicks. Including links to products or areas of your website can help you see what your readers are interested in – just look at the number of clicks per link. It’s tempting to feel like you’re done after the email you crafted is delivered to your email list, but it’s really just the beginning. 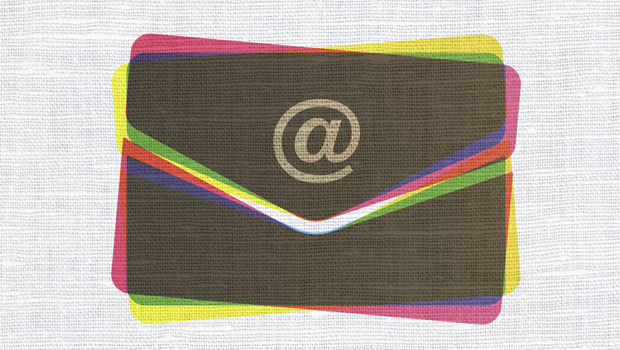 Bottom line: Your email marketing campaign isn’t done when you hit send. Spend some time seeing what your customers or readers like and what they’re interested in – which products they look at or buy, which links they’re clicking on, which articles they’re reading, and so forth. Keep giving them the kind of information they want. If you’re not paying attention to the people reading your emails, then your email marketing won’t be successful.